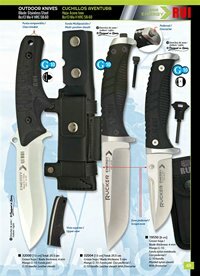 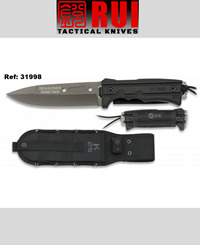 Reasoner tactical knife with stainless steel blade and SFL handle. 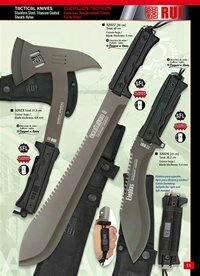 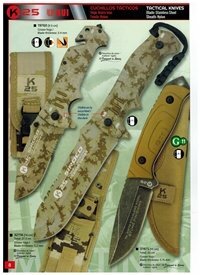 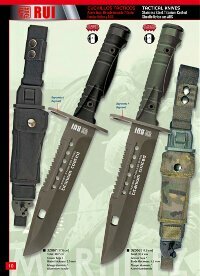 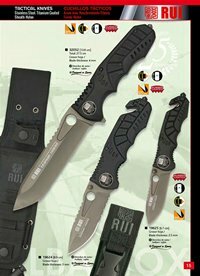 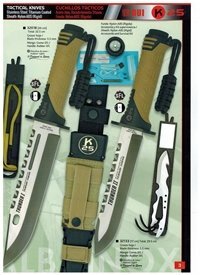 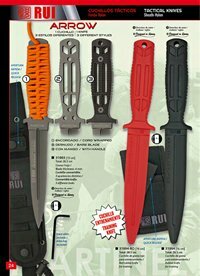 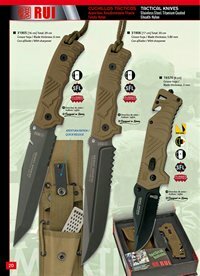 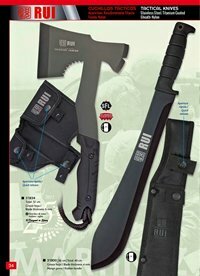 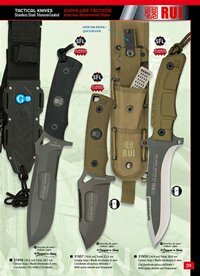 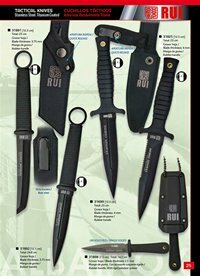 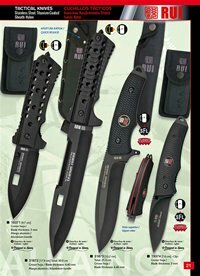 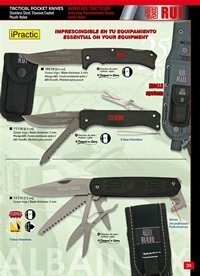 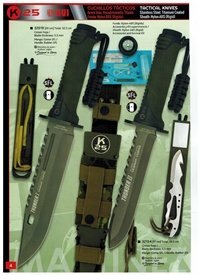 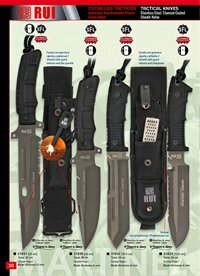 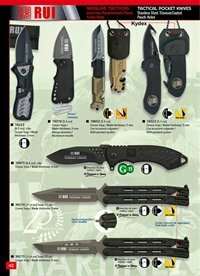 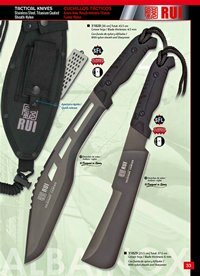 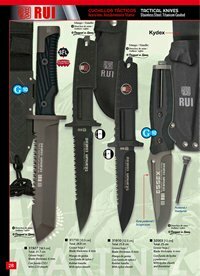 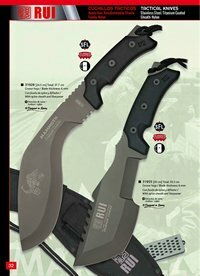 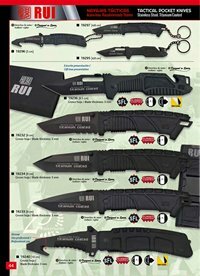 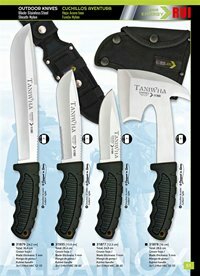 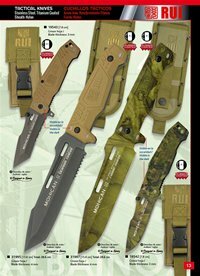 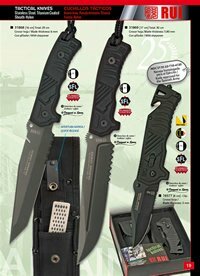 Tactical knives with stainless steel and titanium coating, and nylon-ABS rigid sheath. 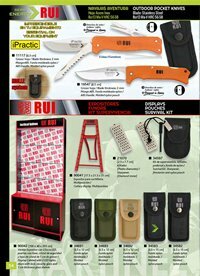 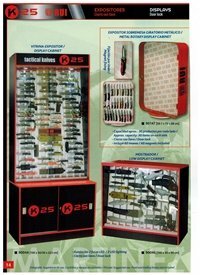 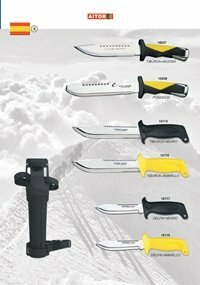 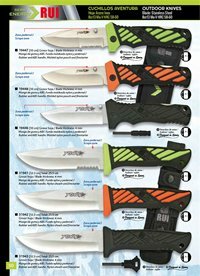 Exhibitors for cutlery, survival kits and molded nylon cases. 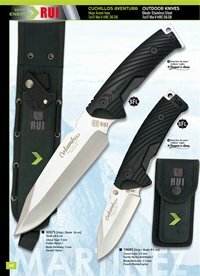 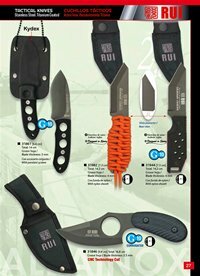 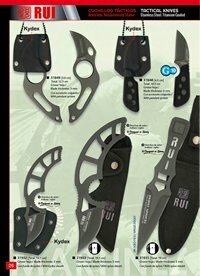 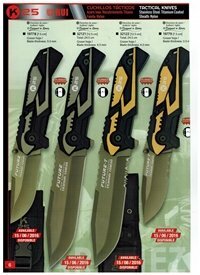 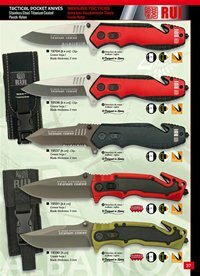 Outdoor pocket knives with stainless steel and nylon sheath. 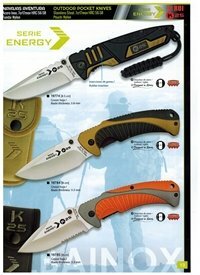 From the Energy series. 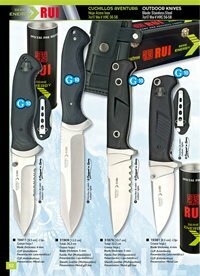 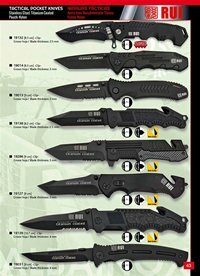 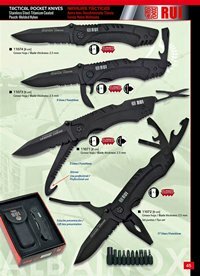 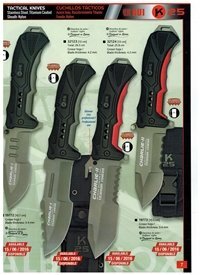 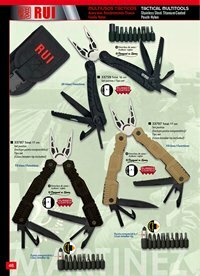 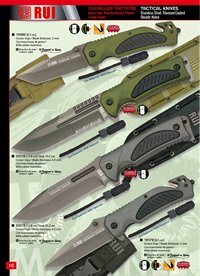 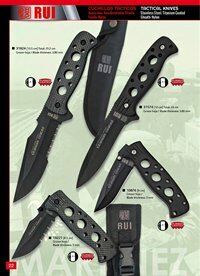 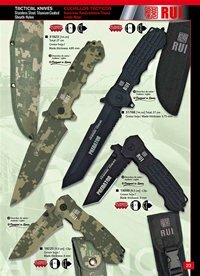 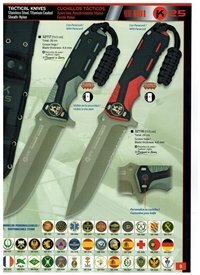 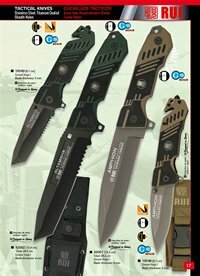 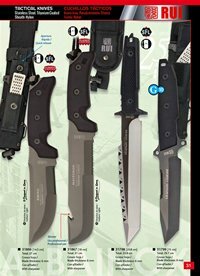 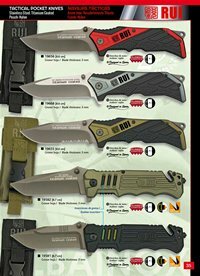 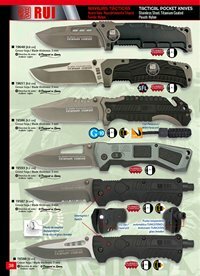 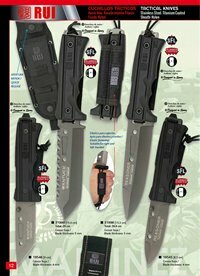 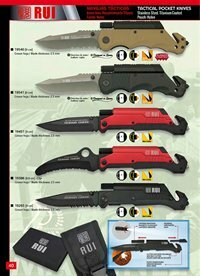 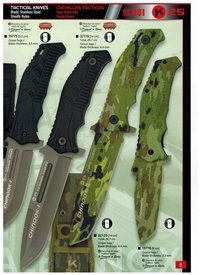 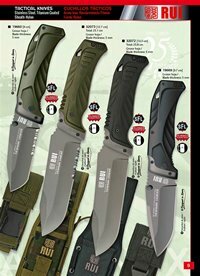 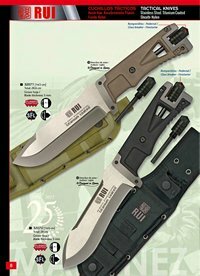 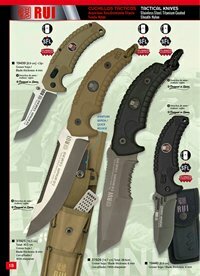 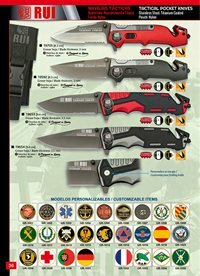 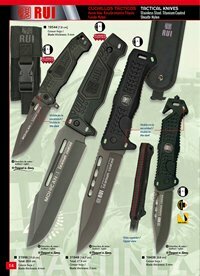 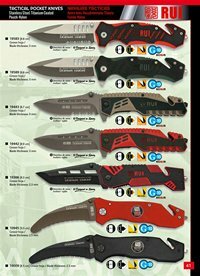 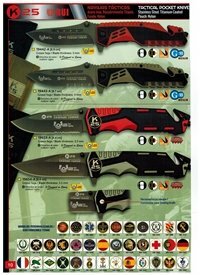 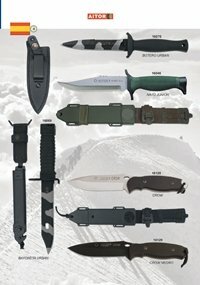 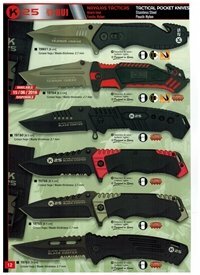 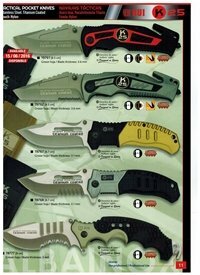 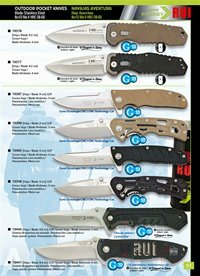 Tactical knives with stainless steel and titanium coating.